Spend the whole day beneath the surface with our expert guides. 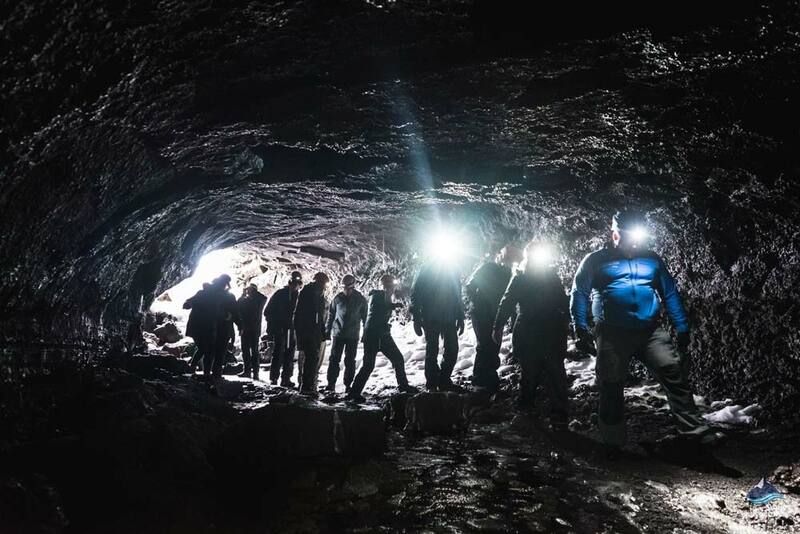 We visit a historic lava-tube for caving and then head to Thingvellir National park to go snorkeling. Suitable for those in a good physical condition. 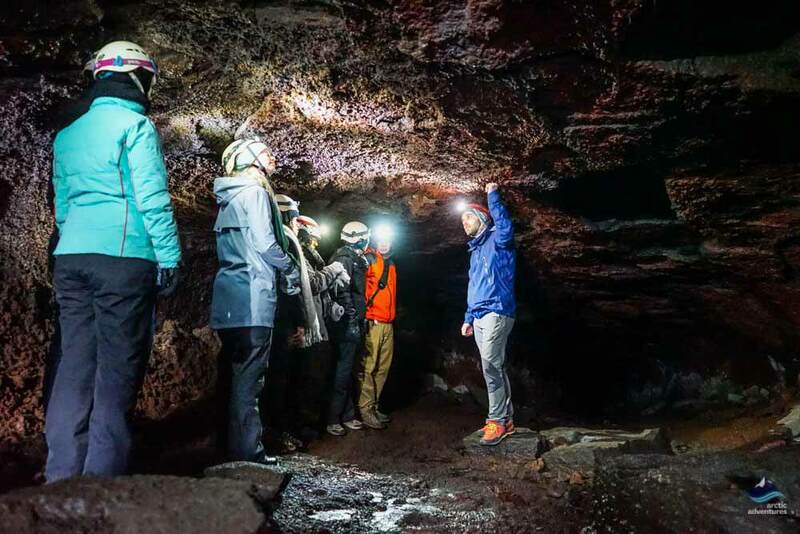 This caving and snorkeling tour gives you an opportunity to experience Iceland from a new angle. 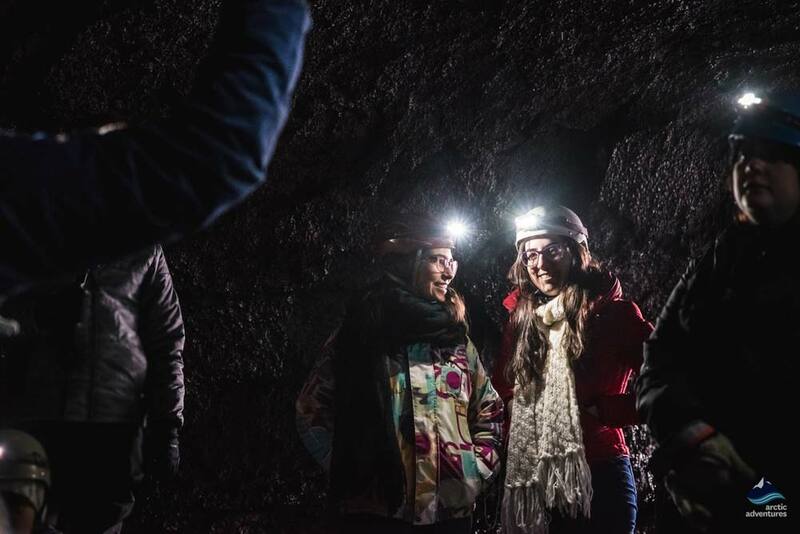 After we pick you up from Reykjavík we start with the black part of the tour by exploring a lava tube cave close to Reykjavík. 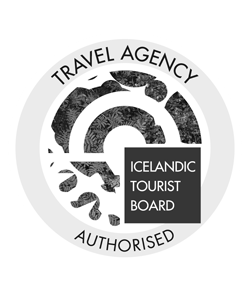 This adventure gives you a great insight of the volcanic activities that have formed Iceland. 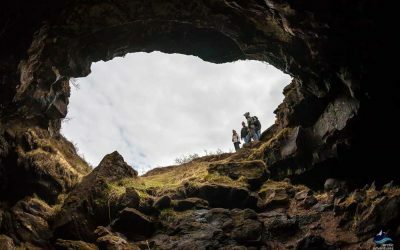 Depending on the season we go either to Leiðarendi Cave or Gjábakkahellir, both caves are typical lava tubes that display the characterizing features that are common for this type of caves. After we finish the caving, you will have a chance to grab some lunch between the two activities. 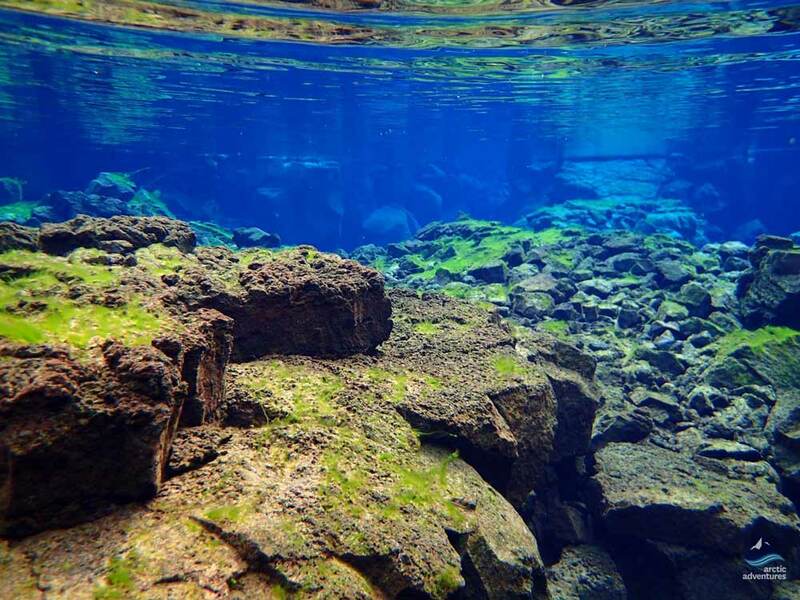 We will drive to Þingvellir National Park where Silfra fissure is found. Here we get ready to explore the blue by putting on a dry suit and other snorkeling gear needed. Your guide leads you through the marvels of this crystal clear water wonderland that is considered to be one of the best freshwater snorkeling places in the world. 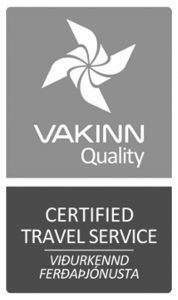 Pick up: For those who have chosen to be picked up in Reykjavík, the pick-up time is at 08:00 am. Picking everyone up can take up to 30 minutes, your patience is greatly appreciated! Remember to bring: Warm and waterproof outdoor clothing, gloves, warm long underwear (fleece/wool), warm socks, a change of clothing (just in case). Don’t worry, you can always rent sturdy hiking shoes, waterproof jacket and pants in the booking process. We do not rent gear from location. Participants need to be comfortable in the water and be able to swim. You are unable to participate if you are pregnant, due to the small risk of cold water entering the suit. Age Limit: 12 years old minimum. Guardian’s approval needed for minors under 18. 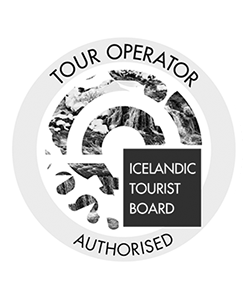 Due to guide/customer ratio limitations and Þingvellir National Park regulations this tour sells out frequently, we recommend you book this tour well in advance. 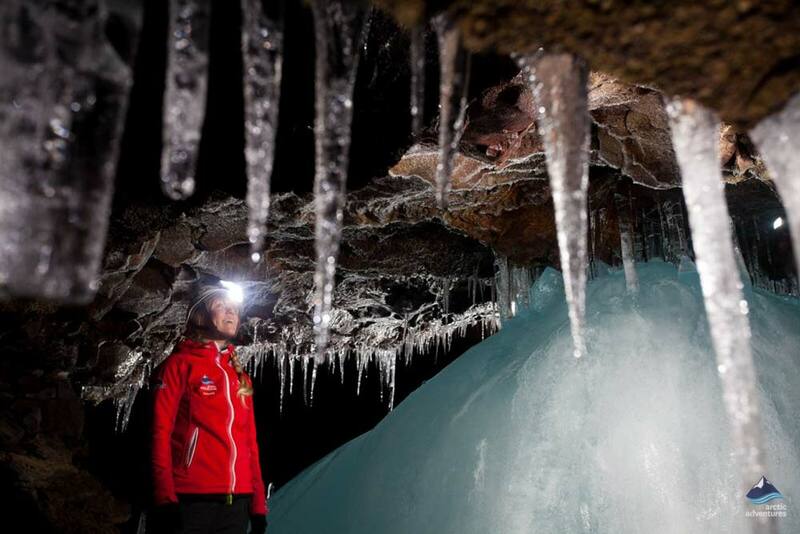 We recommend bringing gloves to wear inside the cave as it can sometimes get a little cold. What is the best way to prepare for the tour? All relevant information for the tour can be found in our snorkelling handbook. Can I bring my camera on my snorkeling tour? Yes, you can bring a camera, but we recommend to have a waterproof one if you want to have it in the water with you. 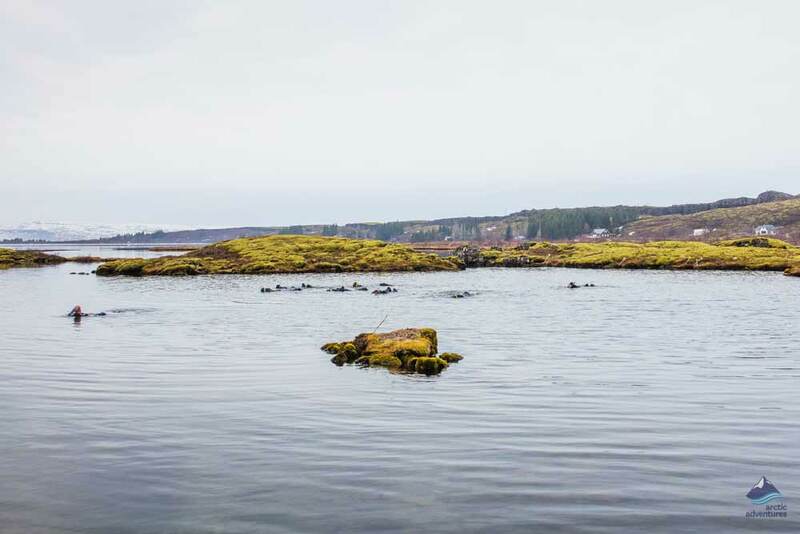 Where is the meeting point for the snorkeling tours at Þingvellir? If you plan to drive and meet us on location, the meeting point is at the Silfra car park, in Thingvellir National Park. Note that the National Park charges a small parking fee of 500 ISK. We kindly ask you to be at the Silfra car park 15 Minutes prior to your tour starts. Do you offer photos from the snorkeling tour? Our guides normally have an underwater camera and usually, take photos during the tour. If you are interested in photos please let your guide know before you go into the water. You can then buy the photos from your guide at the end of the tour, for a price of 3 900 ISK, which includes all the photos from that day. Kindly note that photos cannot be guaranteed. Our customer’s safety and wellbeing is our first priority, and therefore the guide will focus on snorkelers as a priority when in the water and will be taking photos when everyone is comfortable. Can I wear glasses during the snorkeling? No. Unfortunately, glasses don’t create a seal between your face and the mask. We recommend wearing contact lenses instead. I am pregnant, can I participate in the snorkeling tour? You are not able to participate in the snorkelling tour if you are pregnant. Do I need to be able to understand and communicate in English in order to participate in the tour? Yes, the tour is directed in English and therefore you need to be able to understand English to participate. Can we do snorkeling and diving at the same time? Some snorkelling tours match with a dive tour, and then you will be in the same area at the same time. You will, however, be in separate groups with separate guides, and won’t be in the water exactly at the same time. 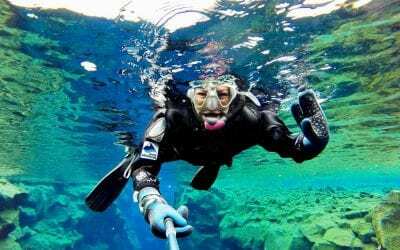 What are the requirements for snorkeling in Silfra? You need to be more than 12 years old ( guardian’s approval needed for minors under 18) and you need to know how to swim independently. Because of the dry suit sizes, there are height-weight limitations. The minimum height is 150 cm, and the minimum weight is 45 kg. The maximum height is 200 cm, and the maximum weight is 120 kg. Yes, you must be able to swim independently without a lifejacket, and you must be comfortable in the water. 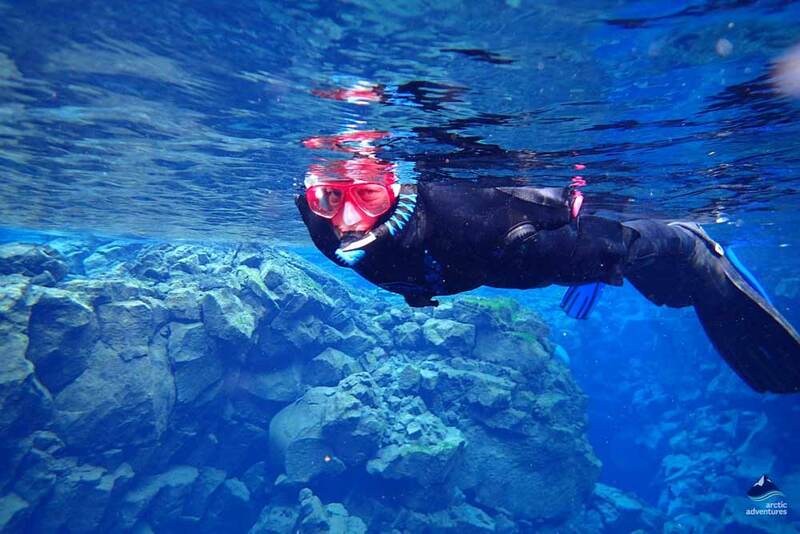 What is snorkelling in Iceland like? 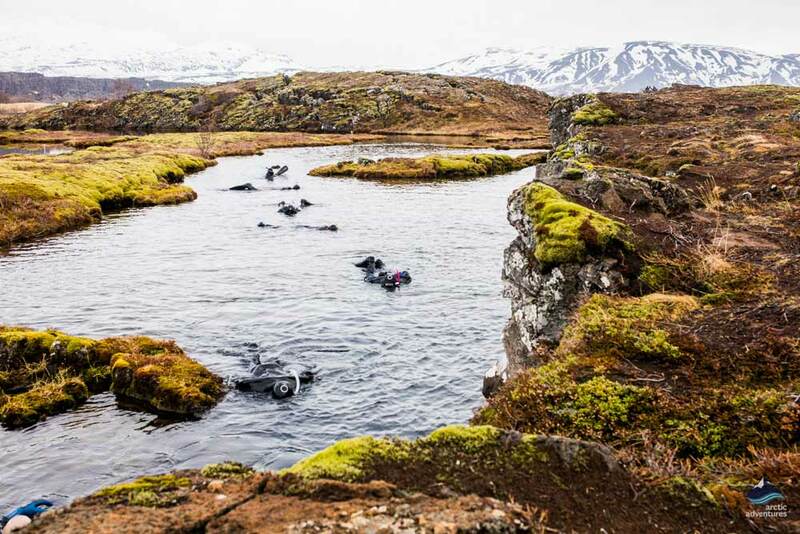 When snorkelling in Iceland you will be wearing a dry suit, hood and gloves made of neoprene, along with fins, mask and snorkel. This equipment will make it not only possible but also very enjoyable, to stay in the water despite the low temperature. 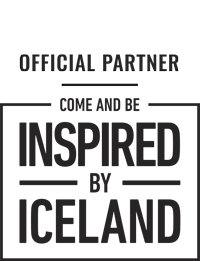 It is a fantastic experience. Do I need previous experience to snorkel? No, you don’t need any previous experience to snorkel, but it is important that you can swim independently and that you are comfortable in the water. Please wear or bring some long underwear and some warm socks. Wool or fleece is the best material to wear. You will be wearing your long underwear and warm socks under the dry suit. Will I stay dry in the water? We provide dry suits so that your body stays dry, and you will also wear undergarments to keep you warm. We use high-quality neoprene dry suits from Waterproof International and O´Three. But it is good to know that there is always a small risk that water can enter the dry suit. This is not dangerous but can feel a little cold, so we recommend you bring a spare set of clothes and a towel, just in case. Kindly note that your hands and face will get wet, which is completely normal and not actually that cold. We provide an undergarment and neoprene dry suit from Waterproof and 0’Three. We also provide a neoprene hood and neoprene wet gloves to protect your head and hands from the cold. You will also be given fins, mask and snorkel. How many snorkelers will be on each tour? Our client to guide ratio is one guide for every 6 snorkelers. What is the temperature in Silfra Fissure? The water temperature is 2-4 degrees C (35-37 degrees F) all year round. The water comes from the Langjökull glacier which keeps it nice and cool, and very refreshing! What kind of dry suits do you provide? We use high quality neoprene dry suits from Waterproof International and O´Three. Where is the location of the snorkeling tour? The tour takes places at Silfra Fissure which is located in Thingvellir National Park. Are there toilet facilities in Silfra? Yes, there are 2 toilet facilities at Silfra. However, we don’t recommend that you use them for changing, as it can result in long queues. Is there any life in Silfra? Sometimes fish venture into Silfra from Þingvallavatn lake, but they will quickly swim back, as they don’t like chilly glacier waters. However, there is plenty of colorful seaweed, including a bright green variety known as “troll hair”, which makes the fissure unlike anything on the surface. 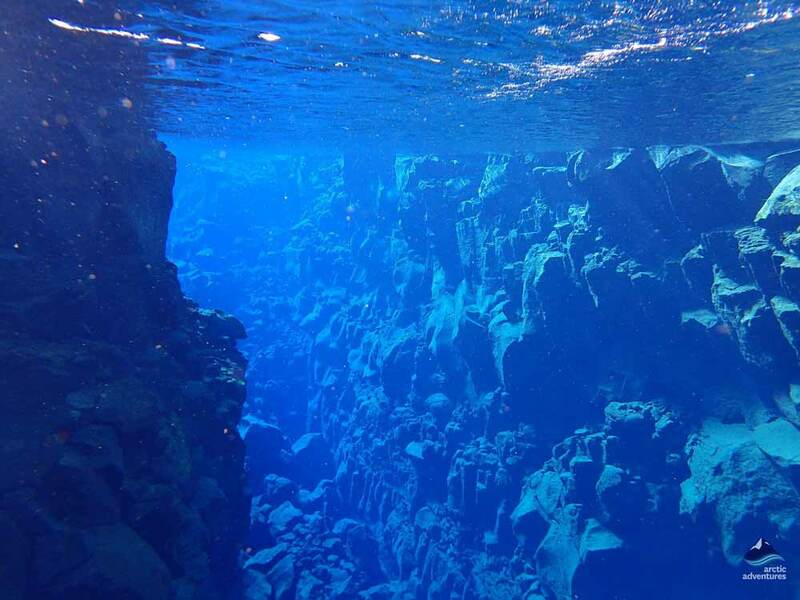 How deep is Silfra fissure? The cave systems in Silfra can be up to 60 m deep. 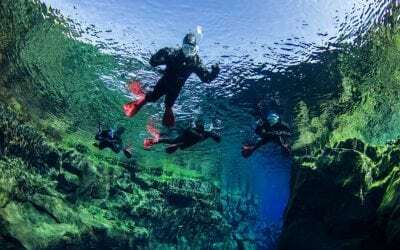 However, your dive in Silfra will be from about 7 to 12 m, and the maximum diving depth that is permitted is 18 m.
We done the black and blue tour with Arctic Adventures (this is lava caving and snorkelling at the Silfra fissure). Our pick up was bang on time and our host, Linus (my spelling could be wrong), was excellent! We loved every second of the tour. Linus was funny, informative, and good at checking in with us a group as to what/how we wanted to do things. For example, you can take two different routes in the lava caves and Linus was very sensitive at making sure the whole group was happy to take the harder route. The snorkelling was incredible! The suits are incredible at keeping you warm and if you follow the advice from the instructors on how to keep your hands warm you’ll be totally fine! Other people had clearly ignored all the advice given to them… This was truly worth every penny and we got to see some increcible views. 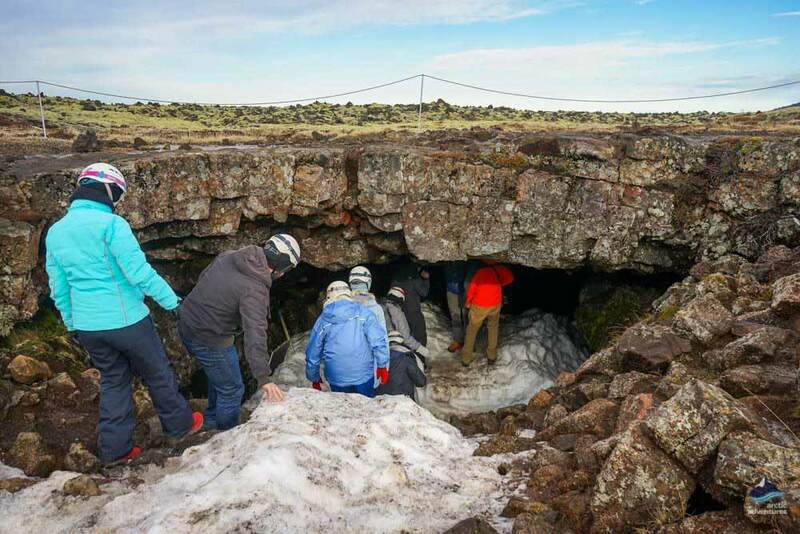 Miles of lava fields covered in snow is an incredible sight. 100% recommend this to anyone interested in geology or just doing things out of the ordinary. We all had a great time! It was so amazing and our tour guide Stephano was amazing. He was responsible in showing us what to do and how to be safe but always lets us enjoy ourselves. I would 20/10 recommend doing this. Unparalleled to anything else…Also the free hot chocolate and cookies at the end are pure bliss. Had a terrific time on this tour – everything ran smoothly from hotel pick-up on. 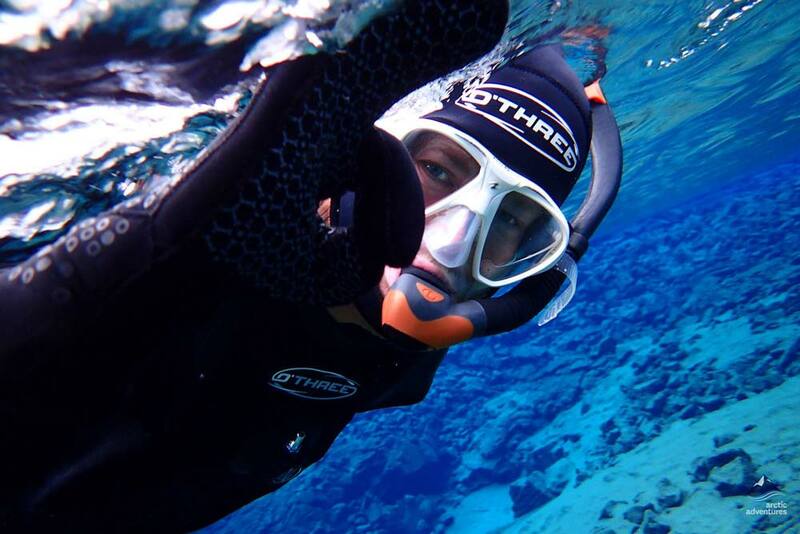 The snorkeling really is amazing – I’ve read some reviews of these type of adventures that make the drysuit sound more complicated than I experienced. The folks from Arctic Adventures made all of it simple. The lava cave was cool, too, and a good addition to the day since I had previously done a Golden Circle tour. 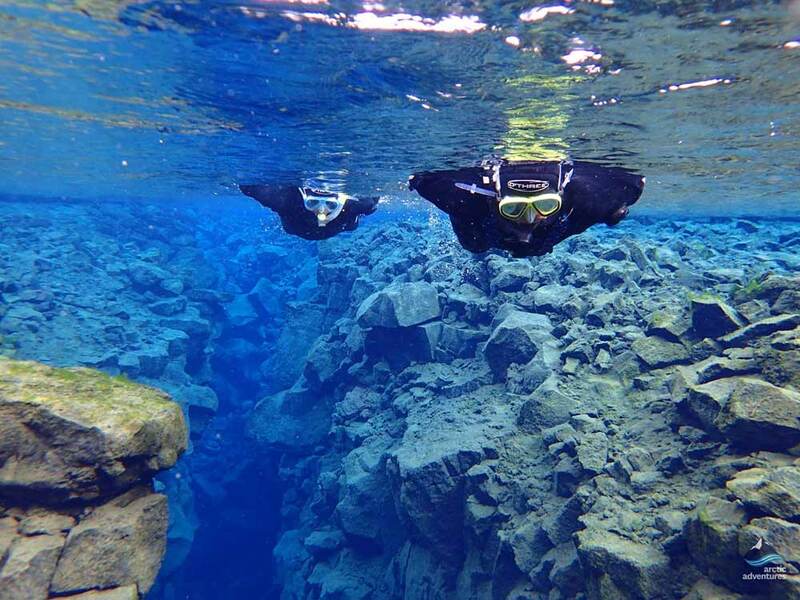 Discover the secret underwater canyon between continents that makes Iceland a most unusual snorkeling destination!! 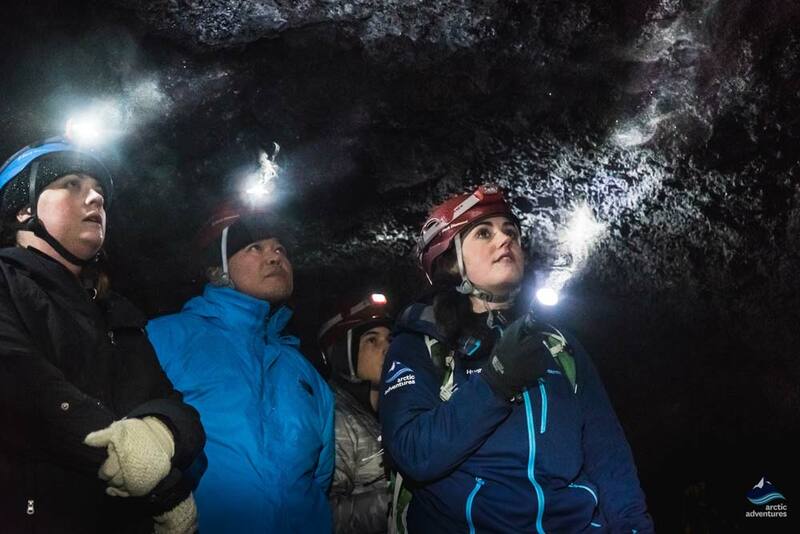 Feel the rush of adventure as vast underground networks of a hidden lava cave unfold in the beam of your headlamp! We started off at the lava fields in Grindavík and were in the tubes exploring for about an hour. It wasn’t that cold in the tubes, luckily, but above ground it was extremely windy and cold. On the way out, we were given the option to crawl using an alternate pathway or to return the same way we entered. I opted to crawl and it was quite an experience. It narrows down to ~80cm but crawling through was pretty fun. After that, we stopped for lunch at Thingvellir and then headed to Silfra to get our drysuits on. The fissure was a beautiful deep blue and you can even drink the water that gets into your snorkel. I stayed completely warm and dry in the suit although some people got wet. Cookies and hot chocolate after to warm up we’re satisfying. Overall, great experience. I recommend! Excellent tour. The guide was on time picking us up from our hotel and took us to the lava cave where he explained how the caves are formed, some of the history of the cave, and pointed out the unique formations. The snorkeling portion was also amazing with incredibly clear water and beautiful colors underwater. I was nervous about being cold in the water but the dry suits kept me dry and decently warm! I wasn’t uncomfortable at all and the views were great. The guides and other people on our tour were also great, conversational and fun to be around. This is also something you can’t do without a tour guide so I definitely recommend it to experience even more of Iceland! Thanks Arctic Adventures! I'd highly recommend this tour if you're in Iceland. It's truly breathtaking and worth the money! Brave the cold - you won't regret it! The tour guide were timely and super nice! We had a wonderfull tour with Thomas as great guide very helpfull and friendly. Getting down to the cave was athletic but unforgettable. As well the snorkelling. I recommend! One of our best snorkeling trips! It was a beautiful sunny day and the scene was incredible with snow on the stream bank. Take an underwater camera, the photo opportunities were numerous. Friends thought we were crazy snorkeling in Feb, but with the water and air being about the same temp, it was perfect. My only recommendation would be to bring a small foam pad to stand on while waiting to go down to the water, so not standing on the snow and ice. We originally only had the snorkelling tour booked but were upgraded to the Black & Blue tour for an unexpected reason. We couldn’t be happier that we were! The caving experience was awesome! Added some extra adventure to our tour. The snorkelling tour was absolutely amazing! Our guide Andrea was awesome too. Very friendly and funny and we learned a lot from her. I would highly recommend this tour!! This was one of the highlights of our week in Iceland, what an unforgettable day! Micah and Ronan were knowledgeable and very friendly. Some points - when we arrived at the lava tube, there were 2 other couples as well as us who didn't realise what this entailed - we all thought it would be walking through more cavernous spaces rather than crawling etc. It was a fantastic morning which we thoroughly enjoyed but more info beforehand would be beneficial. Also, overalls would be appreciated for going through the tighter spaces, so as not to rip clothing etc. Thanks again to the wonderful guides. By far the highlight of our trip!!! Becca, our guide was fantastic. Friendly, informative and knowledgeable. Chris, our guide for the snorkeling was amazing, very comforting as we went went out of a comfort zone for this fantastic experience. We would, and have highly recommended this tour with Arctic Adventures. This experience was wonderful! Our guide was very informative and answered all of our questions and gave us great information. The lava caving was super cool and we had extra time before the snorkeling, so our guide took us to Thingvellir National Park to see a waterfall. The snorkeling was amazing and definitely nothing like I have done before. Our guide made us feel comfortable and made the experience so worthwhile. They treated us to hot chocolate and cookies after to top it off and keep us warm!